The Assassin’s Creed titles are some of the most popular videogames in the last ten years. It took quite a while, but the franchise has finally made its way to the mobile platform through Assassin’s Creed Rebellion. This game is a strategy RPG that allows you to recruit all your favorite characters from all the other Assassin’s Creed games in order to create your own Brotherhood. You will have to manage the headquarters so the assassins can train to get stronger, gather intel, craft equipment, and more. Assemble a team of three assassins to go on different missions. Each assassin has his own specialty, so make sure you make the most out of their abilities. There are different routes to the end of each mission, and you will have to find the best one. The missions get tougher with each day, so don’t forget to read our Assassin’s Creed Rebellion tips, cheats and strategies in a complete guide before you dive into the game! When you send out your assassins on a mission, you will be asked to choose just three out of all that you have recruited in your Brotherhood. Missions have different goals. Some require you to assassinate a target. Others just need you to get to the end of the level. You might even be asked to steal something that is hidden within the stage. Since your characters have different specializations, some of them are more suited for certain quests than others. For example, you might want to bring someone who is good at assassination or in hand-to-hand combat if you need to kill a target. The good news is that the game helps you decide through recommendations. Just check out the recommended setup at the top right corner of the screen. The game’s recommendation will just show the icons of the types of heroes that would be needed in that stage. Try to follow it as best as you can. If the recommendation only shows two icons, then you are free to choose who the third one will be. A healer is always a good idea for this third position since you might need to keep the health of the other two up while going through the stage. As you progress through Assassin’s Creed Rebellion, you will be recruiting dozens of assassins. You will then have plenty of choices when it comes to assembling a team for a mission. When choosing a hero, you should also consider his skills. If you can’t decide, you should try checking out your Specialists. These are characters who are usually specialize in Heal, Support, or Disarm. These skills are great for keeping your entire team safe and in good shape as they make their way through the stage. This is important because you will want them to be at full health as much as possible before they face off against the mission’s boss. While all heroes have their strengths and weaknesses, there are a few that are a cut above the rest. Recruit and prioritize the training of these heroes because they will be extremely useful in your future missions. We have listed some of the best options for each hero type below in order to give you an idea of who you should be giving special treatment. Luis Chico (Shadow Class) – Despite only have a Rare rating, this guy is actually pretty useful in getting you to your target thanks to a combination of Stealth and Disarm. That means even with just him, you have a pretty good chance of getting through different rooms without getting caught. 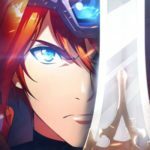 Maria (Shadow Class) – As a Legendary character, you will have to be extremely lucky to acquire her. Once you do, however, her Active Skill Poison Blade will help you easily take down any opponent. On top of that, she excels in three different Shadow Class Attributes, making those face-to-face encounters a rare occurrence. 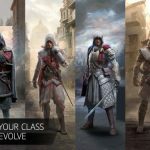 Ezio Auditore da Firenze (Shadow Class) – Any Assassin’s Creed fan would be thrilled to have Ezio on their team, but there is more reason to recruit him. On top of having very high DPS rating, he is also very good at Navigation and Assassination. His ability to perform multiple roles make him a great pick for almost any mission. Mario Auditore (Enforcer Class) – The Enforcer class is best for face-to-face beatdowns, and Mario is more than capable dishing out the damage. Aside from his brute force, however, he is also pretty adept at Navigation, making him a good choice for multiple roles. Finally, his ability to inspire teammates as a Support specialist makes him a great team player. Girolamo Da Lucca (Enforcer Class) – This guy is the best in his class, hands down. He is great at taking damage, he hits hard, and most importantly, he has AOE damage that is perfect for those annoying enemies who call for backup. Gershon Deloya (Specialist Class) – While he may not be particularly strong in combat, Gershon excels in Support and Disarm. This makes him a great third member of any team. The only down side is that he cannot heal teammates. If you know your way around through stages, though, you won’t really need to Heal all that much. Gaspar Donozo (Specialist Class) – This guy only has a Common rating which means you can easily acquire him. If you are looking for a good solid Healer with Support abilities in the early stages of the game, he is your man. Each mission is composed of different rooms that your team will have to go through. You will often be able to choose from two or more routes in order to get to your target. Before you enter one of these rooms, tap on it to check what options you have to go through them. Some rooms are unguarded but have traps waiting for you. Others have guards, but you will be able to sneak past them. Some areas are unguarded and have no traps, but you will need to jump high. Check the skills of each of your characters and see which one has the highest chance of getting safely across a room. You would want to avoid confrontation as much as you can so that you won’t take a lot of damage before reaching the boss. Another thing you should consider before choosing who will take you across a room is the skill counter of your character. Most skills have a limited number of uses in a stage. If you use them all up, you will no longer be able to use them until your hero recovers after the mission. Check further down the stage if there are paths that will leave you no option but to use a specific skill. If you see that it will be the case, it is better to choose an alternate skill for the earlier rooms. Anything skill that gives you at least 60% should be relatively safe. Never choose anything below that, or your character will most likely take damage. When you start out, you will be introduced to the Story Mission. This takes you through the main campaign of the game. Completing Story Missions will allow you to unlock the other types of missions. Make sure you take time to complete the different mission types because they all have different rewards that you will need in order to progress in the game. Story Missions usually reward you with different types of items. Standard Missions, on the other hand, mostly reward you with Training Codex Pages, Brotherhood Experience, Coins, and Building Materials. Loot Missions will give you different kinds of Ore on top of Brotherhood Experience, Coins, and building Materials. Finally, Legacy Missions will be your primary source of Hero DNA Fragments. Collect enough fragments for a hero and you will be able to recruit him. Keep in mind that you can only complete Standard and Loot missions up to five times per day. Legacy ones can only be completed three times. At the end of every mission, you will be given a star rating. The maximum you can get is three stars. In order to get a three-star rating, you need to complete the mission with all three members of your team surviving. Each star you gain from completing missions will fill up a bar on the top left of the Missions map screen. When you fill up the bar, you will be rewarded with a Cube. The Cube is the equivalent of a treasure box in this game, and it often contains a variety of useful items. Each region will have a bar for you to fill, so try to get three stars in every mission in order to get that Cube right away. If that isn’t enough motivation for you, getting three stars on a mission will also allow you to use the Rush option which instantly completes it and gives you rewards. 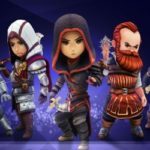 Helix credits are Assassin’s Creed Rebellion’s premium currency, but you will acquire a good amount of it in the initial stages of the game. After that, it becomes more difficult to find for free, so make sure you spend it wisely. The only thing worth spending Helix credits on is for getting more Hero DNA Fragments. Use your first batch of free Helix credits for purchasing the 10 DNA Cubes option for Encrypted Cubes. This will help give you a good number of viable heroes to take on the initial missions of the game. After that, make sure you only invest additional DNA fragments and nothing else. As we mentioned before, you will be able to use the Rush option once you have gotten a three-star rating for a mission. This is a useful feature, especially for farming. You would want to replay the latest unlocked mission for each mission type until you max out your daily attempts. Never log off for the day when you still have mission attempts available. Replaying missions is the best way to maximize your resource gain and allow you to progress further the next day. Aside from specializing in certain missions, your characters also have HQ tasks that they are good at. Make sure you always choose the best candidate to assign for each room in order to maximize the productivity of your headquarters. When choosing who to assign to a room, look for the one who has an icon on them in the selection screen. This will tell you that the character will do well in that room. The only exception to this is the Training Room, since no one manages it. The characters you assign to the Training Room will go through training and will come out stronger after a couple of hours. Make sure you train all of your recruits as much as you can since you never really know who you will need in future missions. Don’t forget that you will also need to build additional rooms and upgrade them accordingly. Since you only have limited resources, it is best if you prioritize certain rooms over others. The most important rooms that you need to focus on are the Training Room, Weaponsmith, Armorsmith, Workshop, and Ceremony Room. These rooms are essential to strengthening your characters, so invest all your resources in them.